Shut-the-Box is a very simple yet entertaining board game with many legends behind it. Some say that the pirates used to play the game at sea. The game, Shut-the-Box can be purchased in a store but it can also be made at home with the right materials. Making your own Shut-the-Box game is quite simple and can be done within a matter of minutes. Cut out 12 two-inch by two-inch square tiles out of ply wood. Use sand paper to smooth down the edges of the tiles. Be sure that each tile is exactly the same size. Use a permanent marker to write a number on each of the tiles. Number the tiles from 1 to 12. No two tiles should have the same number. Measure the inside width of the wooden box using a tape measure or ruler. 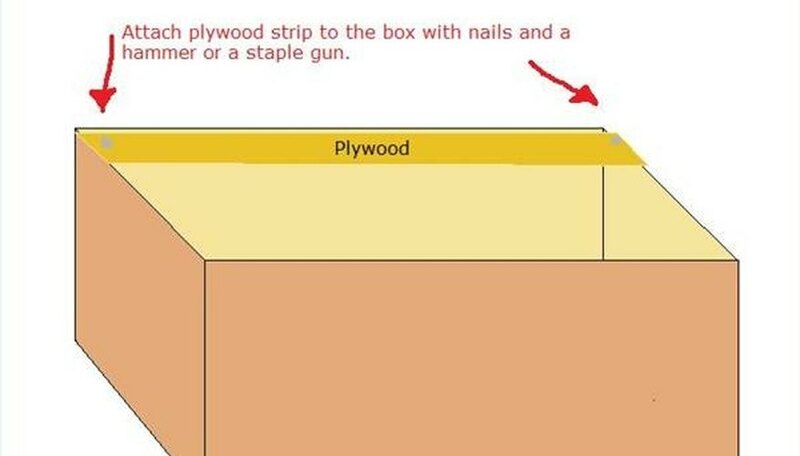 Cut out a piece of plywood that is the same width of the box and approximately one-inch thick. Mount this piece to the inside of the box using a staple gun or a hammer and nails. This is where the tiles will sit. Place the tiles sitting up on the ledge that was built with the plywood. Place the two dice inside of the box. Close the box or play Shut-the-Box.